of what is most immediately helpful, practical, and sustainable.Offers a practical guide for fostering a love of learning and thinking in studentsEach chapter includes: assessments options; incorporating choice; options for special needs studentsAligns with Common Core state standards and includes a chapter on standardized testingWritten for real teachers (who work late hours grading tests, making bulletin boards, attending basketball games, and getting phone calls about homework) who need to keep things practical! Part 1: TEACHING READINGModule #1. Making it Visible: Building an intimate environment. 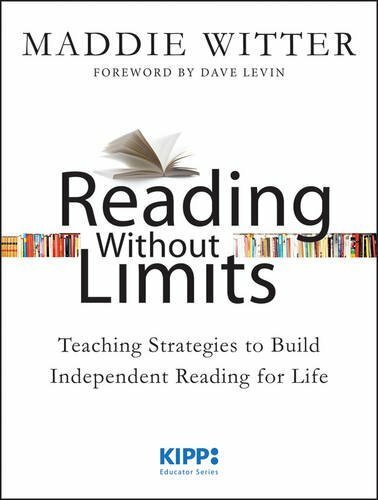 This chapter describes the importance of making the philosophy of love of learning and independence visible in order to motivate your students. Lists of strategies for how to set up a reading classroom will be included as well as photos of beautiful spaces.Part 2: TEACHING WRITINGModule #26. Leveled Writing. This chapter outlines how to “level” writing in your school as well as how to assess student writing using a leveled writing continuum, how to translate leveled writing to students and families, and how to create goals around leveled writing in order to move students up the continuum.Part 3: NONFICTION STUDIESModule #46. Necessary Routines in the Nonfiction Classroom. Routines are critical to an effective nonfiction research classroom. With students all studying a different topic of inquiry, there are many potential pitfalls that can send a nonfiction studies teacher to the “dark place.” This chapter is critical to any teacher or school launching nonfiction studies.